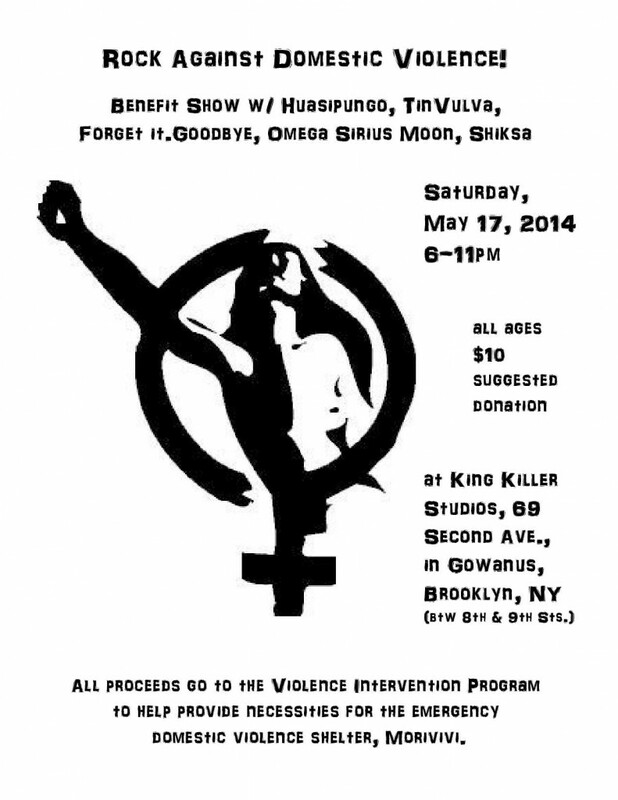 May 17th: Rock Against Domestic Violence! Rock Against Domestic Violence! All proceeds go to the Violence Intervention Program, Inc (VIP) to benefit the women’s shelter, Morivivi. Each year approximately four million women are battered in the United States and these are only the reported cases. In 1988, the Violence Intervention Program (VIP) opened the Morivivi Program, the first bilingual/bicultural (Spanish/English) safe dwelling in New York City. Today VIP has eight safe dwellings (apartment sites) serving battered women and their children who need shelter. Drop by for a killer line-up of rock and rollers and support a good cause!